The all-new SiriKit is pretty limited for now, and the only streaming service it supports is Apple Music. 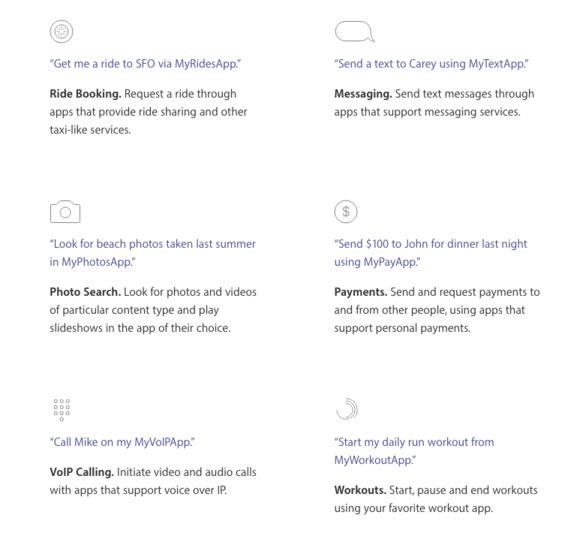 According to Apple’s programming guide, the all-new Siri SDK, or SiriKit, will initially support only six types of third-party app services: audio/video calling, messaging, sending and receiving payments, searching photos, starting workouts, and booking rides. These integrations fall in line with Apple’s demonstration of Siri in iOS 10 at the WWDC keynote on Monday. 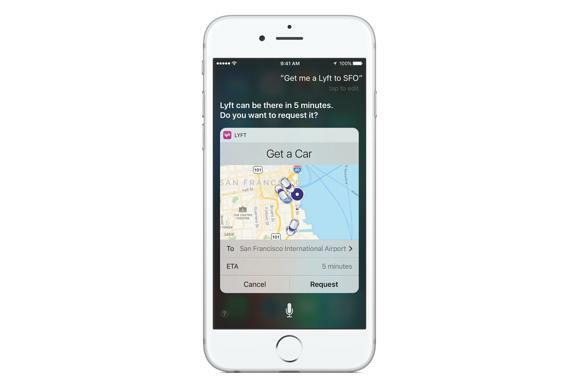 Siri was asked to send a message via WeChat, make a payment using Square Cash, and book a ride with Lyft. Furthermore, 9to5Mac is reporting that Apple Music is the only streaming service that Siri can tap into in iOS 10. This means that Spotify and Pandora users won’t be able to ask Siri to play their music. According to 9to5Mac, SiriKit does not currently offer developers the ability to add an extension for music playback, which could all be part of Apple’s strategy to boost its own Apple Music service. SiriKit also lacks support for other obvious services, like email and productivity apps. Although Apple has given car manufacturers a special integration of SiriKit for CarPlay, so drivers can adjust settings like climate controls and the stereo volume using voice commands. With SiriKit in iOS 10, Apple has taken care of the voice recognition and interpretation of each query. Siri will then determine whether it can handle the query internally or pass off the request to a supported third-party app. If Siri calls up a third-party service like Uber or Skype, the service will only receive the relevant data needed to fulfill the individual request. The third-party app will then use SiriKit APIs to come up with the most appropriate response that will then be displayed in the Siri interface. Third-party service will be able to offer interactive responses inside Siri, and users will be able to perform actions without having to open another app. Developers can even provide custom artwork for Siri’s responses, so the experience looks and feels like using the full app. Why this matters: We’ve noted that iOS 10 is the most third-party-friendly software Apple has ever released. 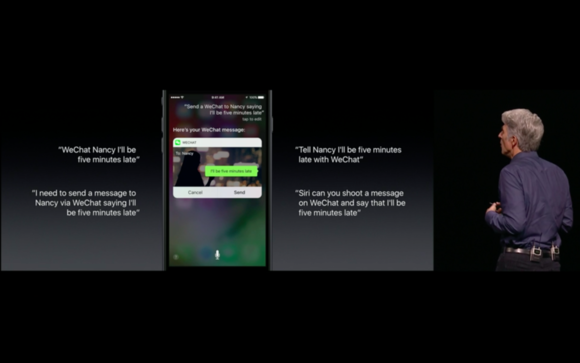 Not only has Siri been open up to developers, but so have Phone, Maps, and Messages. However, with these new limitations, it’s obvious that Apple is being careful and controlling about how it opens the iOS floodgates for third-party developers. In a way, it’s smart for Apple to only let only certain types of services interact with Siri, at least initially. And we can’t blame them for wanting to control the amount of personal data that is being sent back-and-forth between third parties. This limited integration not only keeps a consistent user experience for a first-of-its-kind Apple feature, but also takes privacy into account, a major focus for Apple these days. Here’s hoping that as SiriKit matures, Apple will slowly and thoughtfully add other types of third-party services to make Siri in iOS 10 more robust. For Siri to really succeed, Apple will have to integrate as many third-party services as possible—even if those services compete directly with Apple’s native apps.